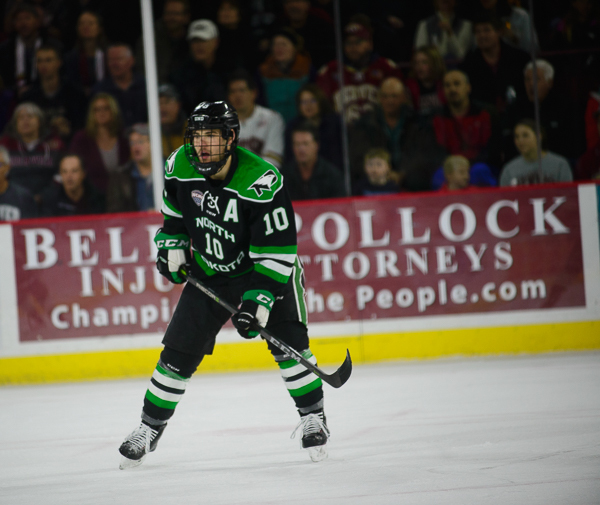 Tyson McLellan of Denver faces off against Rhett Gardner of North Dakota. 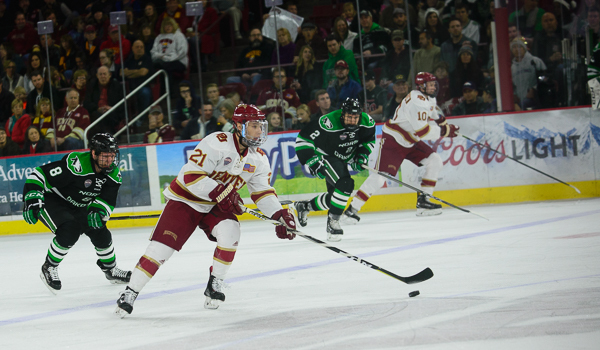 North Dakota at Denver, Magness Arena, 11/18/17. Troy Terry of Denver. 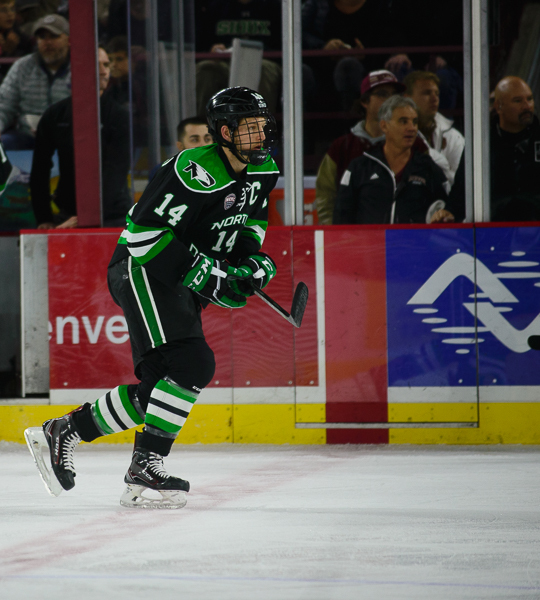 North Dakota at Denver, Magness Arena, 11/18/17. Tariq Hammond of Denver. 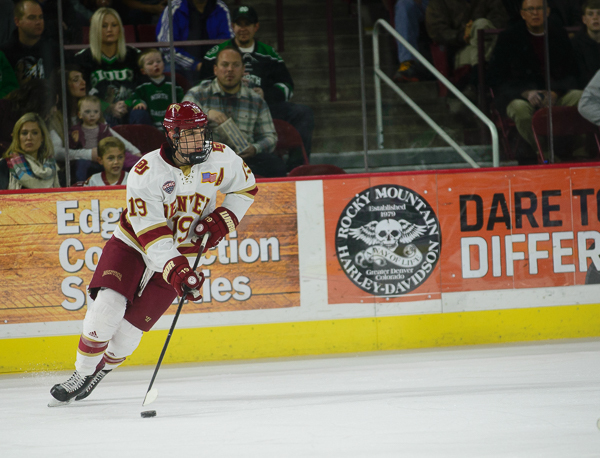 North Dakota at Denver, Magness Arena, 11/18/17. Dylan Gambrell of Denver. 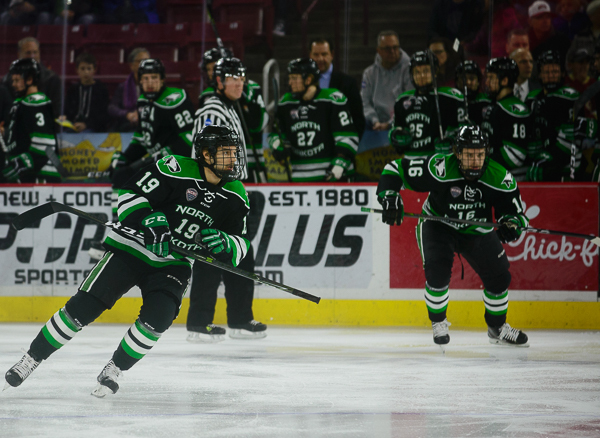 North Dakota at Denver, Magness Arena, 11/18/17. 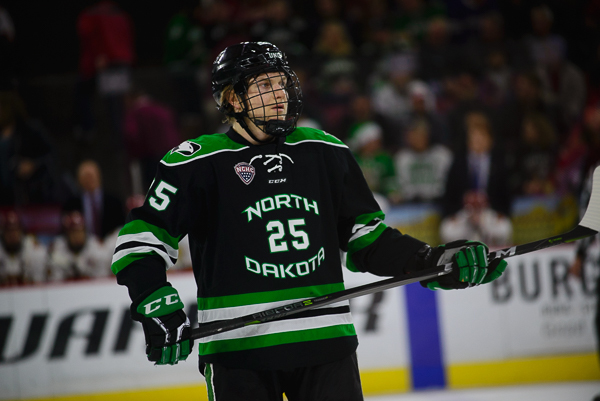 Rhett Gardner of North Dakota. 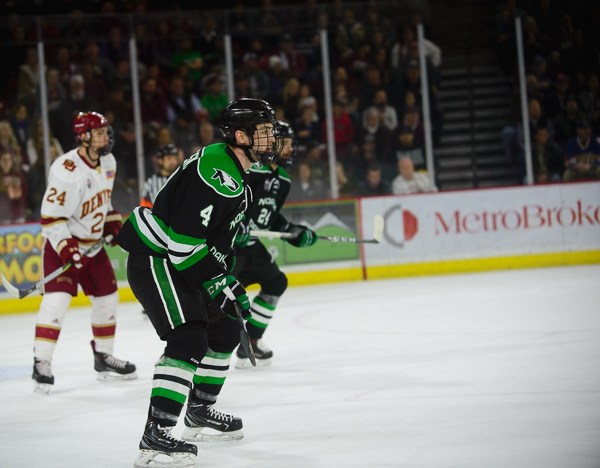 North Dakota at Denver, Magness Arena, 11/18/17. 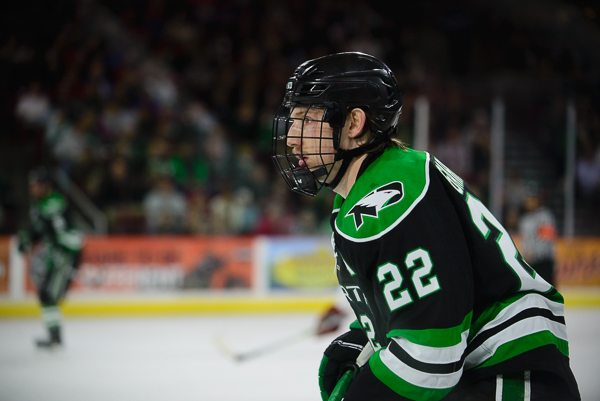 Hayden Shaw of North Dakota. 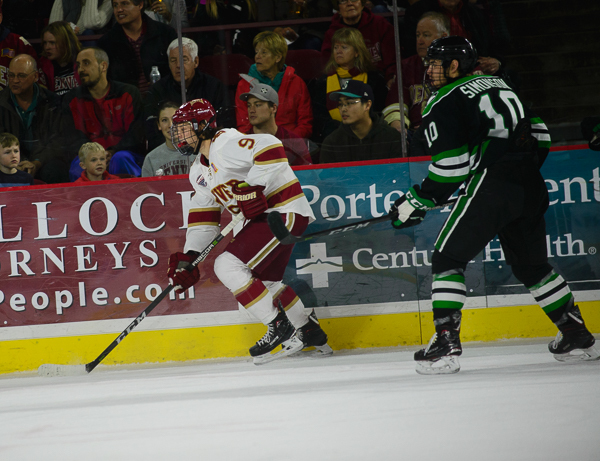 North Dakota at Denver, Magness Arena, 11/18/17. 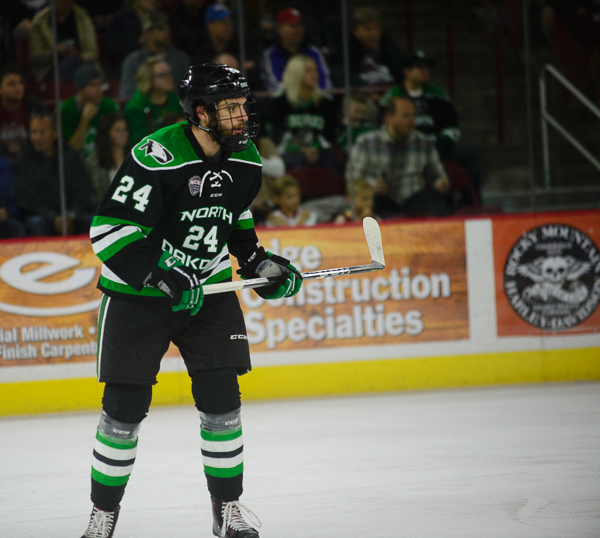 Gabe Bast of North Dakota. 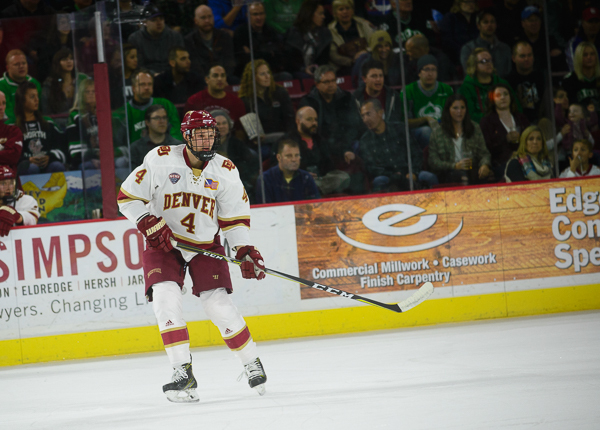 North Dakota at Denver, Magness Arena, 11/18/17. Christian Wolanin of North Dakota. 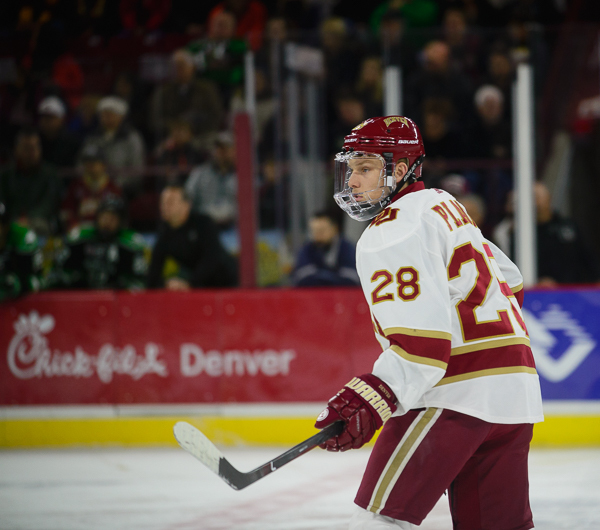 North Dakota at Denver, Magness Arena, 11/18/17. 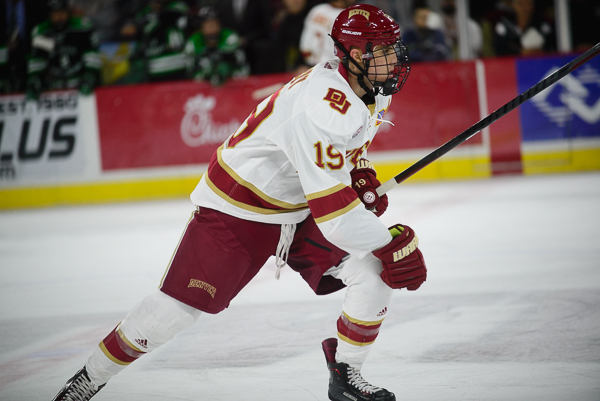 Griffin Mendel of Denver. 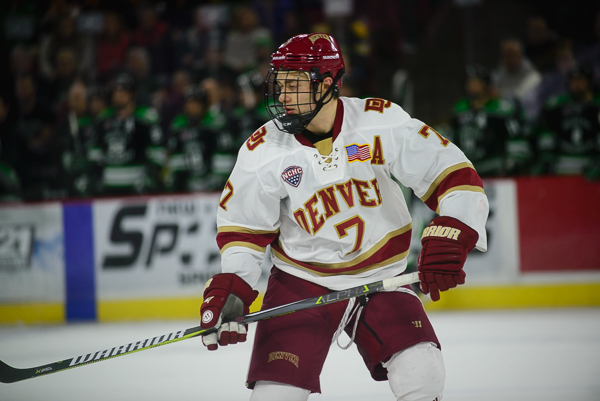 North Dakota at Denver, Magness Arena, 11/18/17. Michael Davies of Denver. 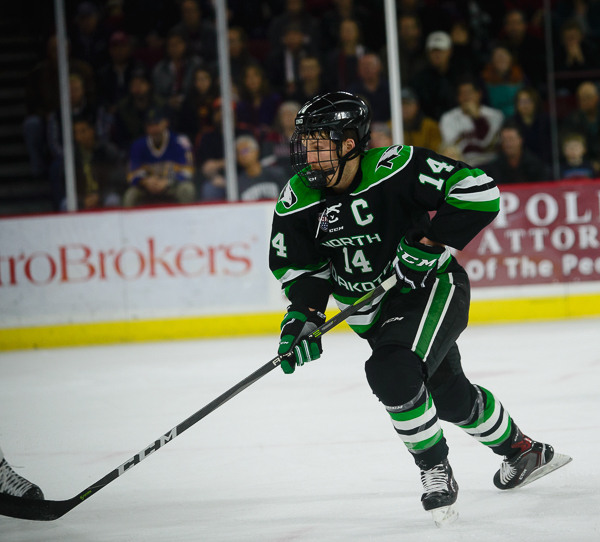 North Dakota at Denver, Magness Arena, 11/18/17. Johnny Simonson of North Dakota. 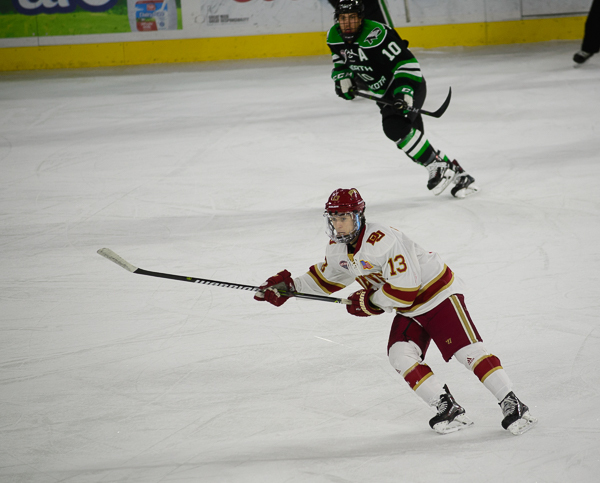 North Dakota at Denver, Magness Arena, 11/18/17. 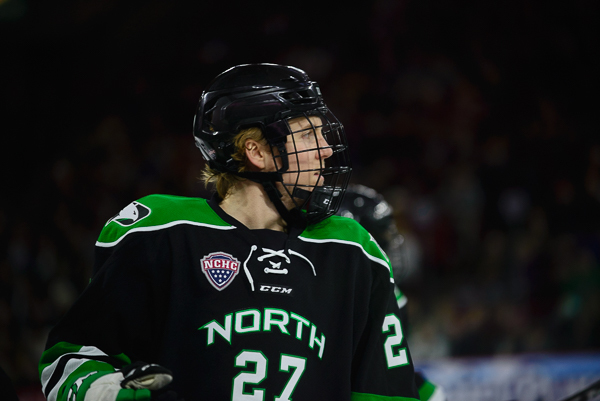 Tyson McLellan of Denver and Johnny Simonson of North Dakota. 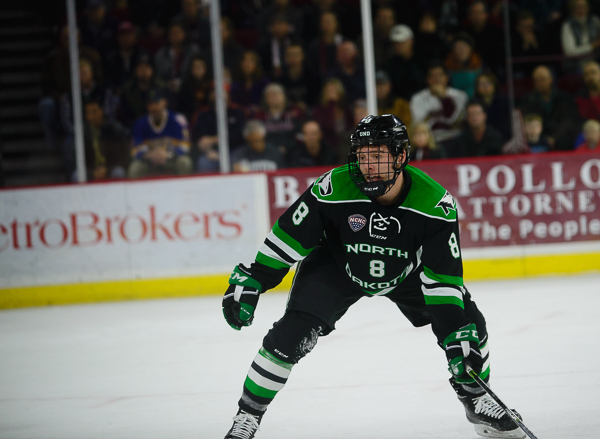 North Dakota at Denver, Magness Arena, 11/18/17. Andrew Peski of North Dakota. 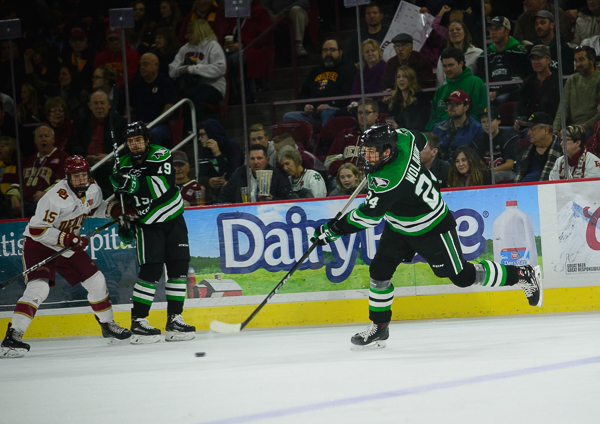 North Dakota at Denver, Magness Arena, 11/18/17. Austin Poganski of North Dakota. 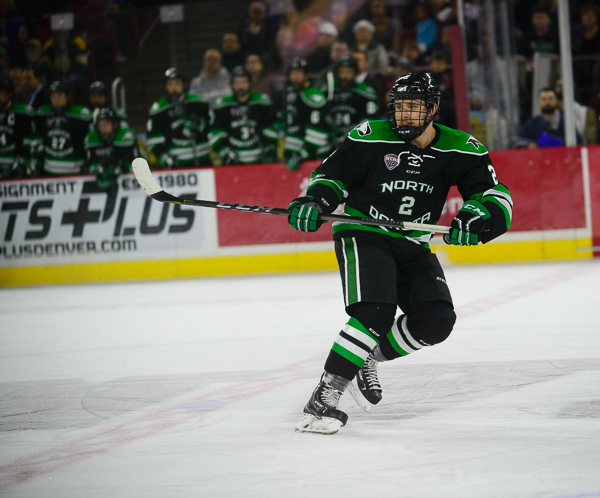 North Dakota at Denver, Magness Arena, 11/18/17. 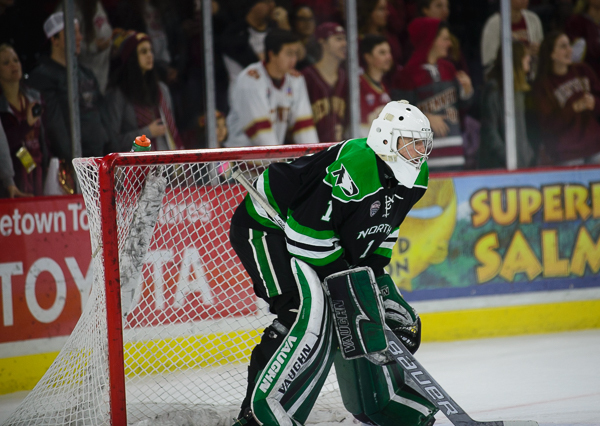 Nick Jones of North Dakota. 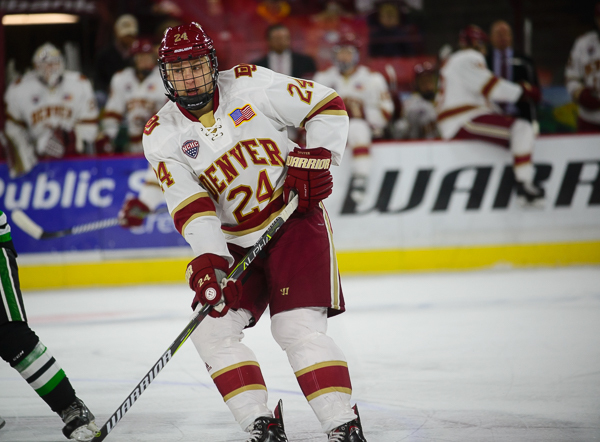 North Dakota at Denver, Magness Arena, 11/18/17. Henrik Borgström of Denver. 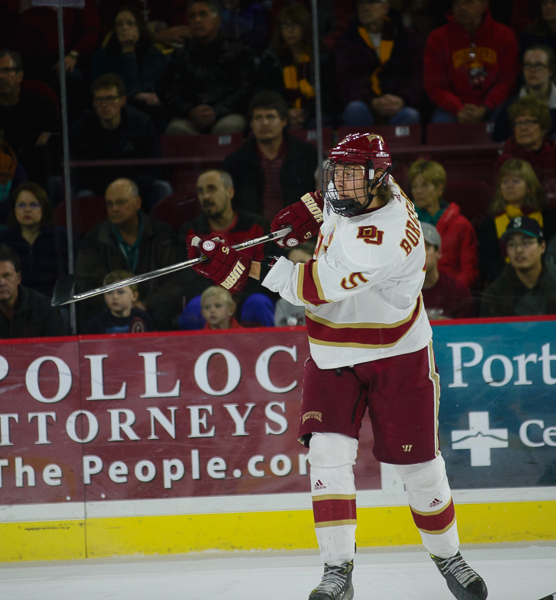 North Dakota at Denver, Magness Arena, 11/18/17. 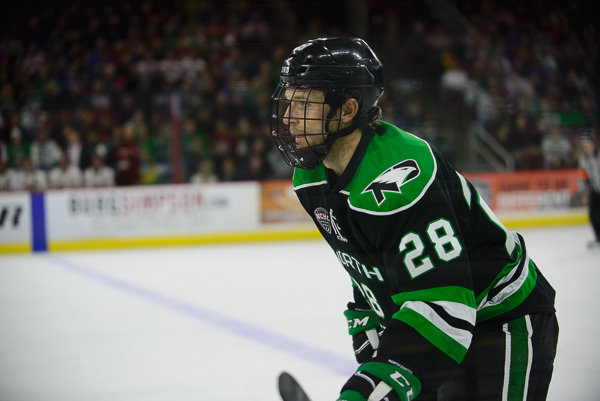 Patrick Thome of North Dakota. 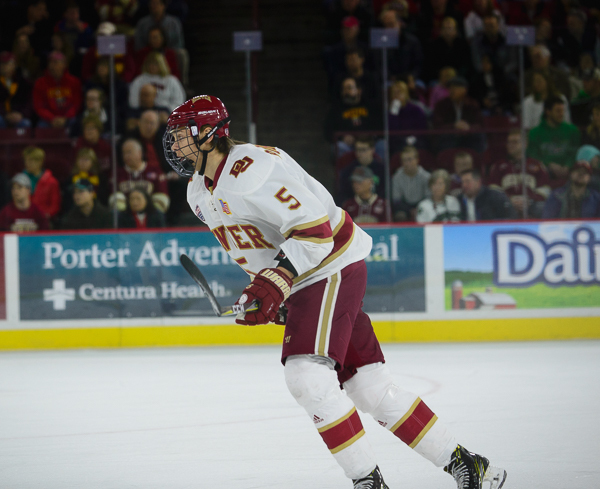 North Dakota at Denver, Magness Arena, 11/18/17. Joel Janatuinen of North Dakota. 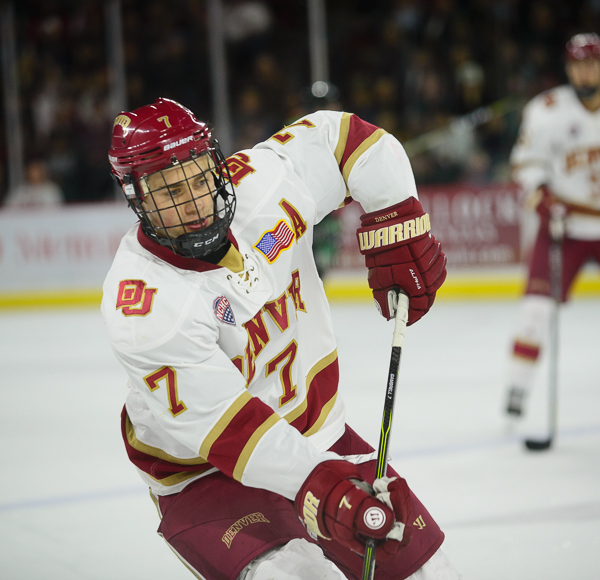 North Dakota at Denver, Magness Arena, 11/18/17. Ludvig Hoff of North Dakota. 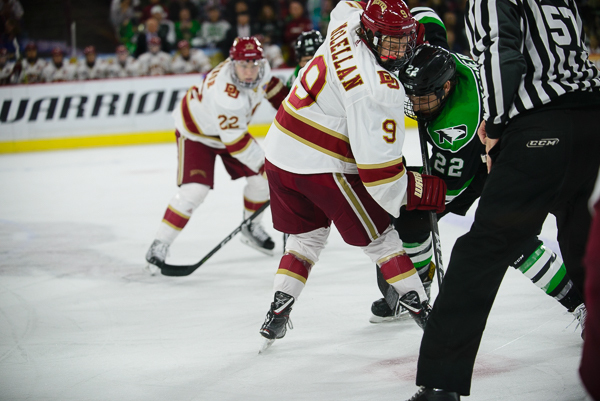 North Dakota at Denver, Magness Arena, 11/18/17. Ian Mitchell of Denver. 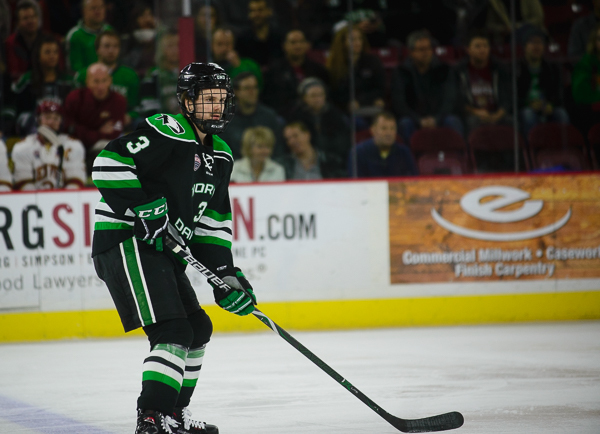 North Dakota at Denver, Magness Arena, 11/18/17. 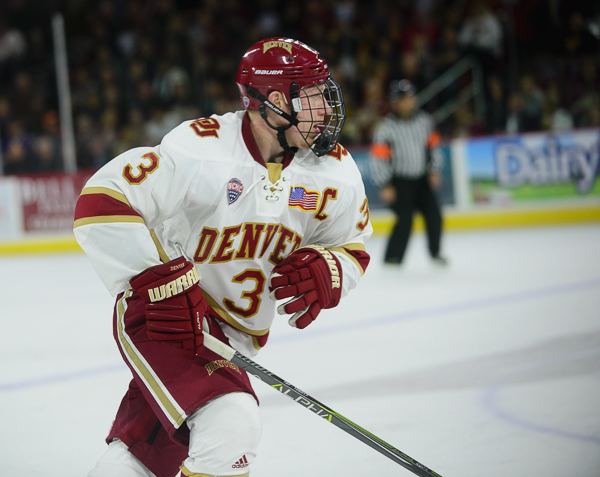 Liam Finlay of Denver. North Dakota at Denver, Magness Arena, 11/18/17. Colin Staub of Denver. North Dakota at Denver, Magness Arena, 11/18/17. 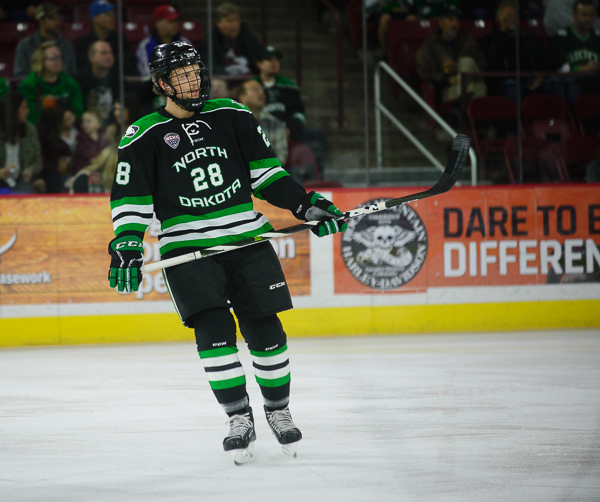 Colton Poolman of North Dakota. North Dakota at Denver, Magness Arena, 11/18/17. Matt Kiersted of North Dakota. North Dakota at Denver, Magness Arena, 11/18/17. Adam Plant of Dener. 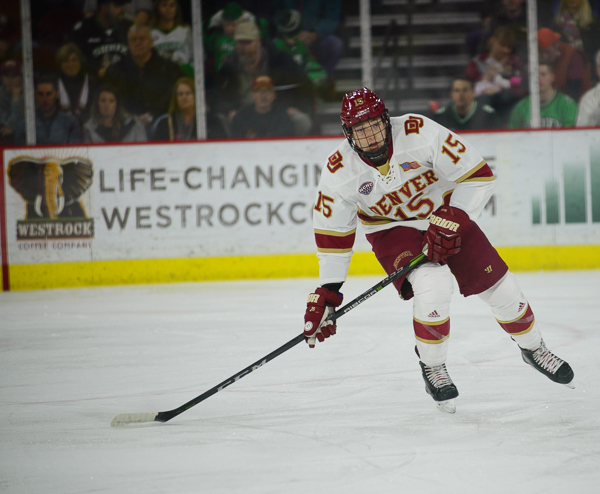 North Dakota at Denver, Magness Arena, 11/18/17. Blake Hillman of Denver. 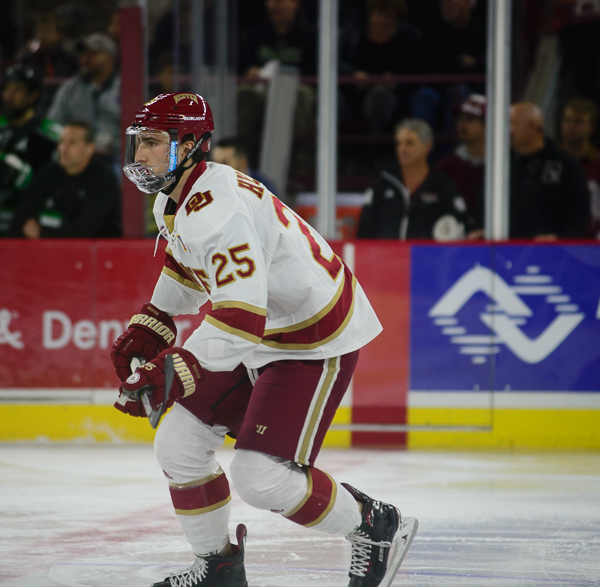 North Dakota at Denver, Magness Arena, 11/18/17. 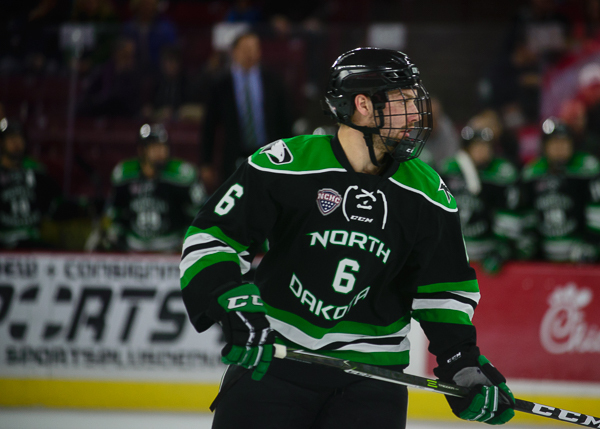 Shane Gersich of North Dakota. 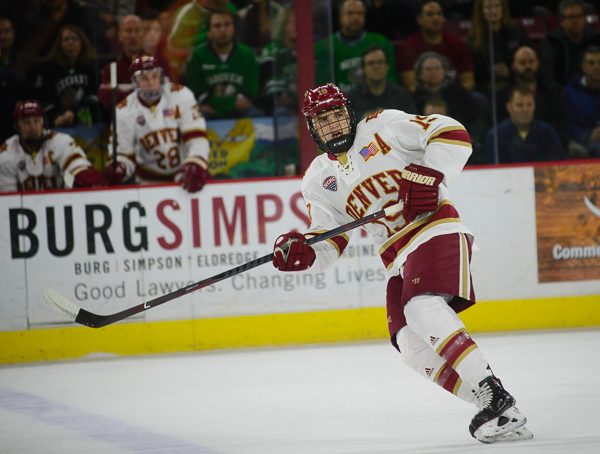 North Dakota at Denver, Magness Arena, 11/18/17.